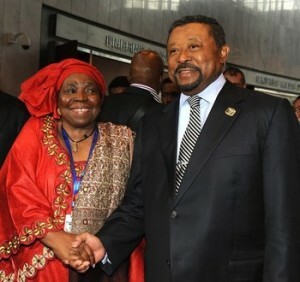 Elections for a new chairperson of the African Union that took place on July 15 saw a contest between the so-called Anglophone and Francophone African regions. The elections that followed a deadlock in January this year were held during the 19th session of the African Heads of State and Governments Summit in Addis Ababa that commenced on 9th July and ended on 16th July. You are implementing programs that have been agreed upon by everybody, so you are not going to be consulting the Anglophone and the Francophone,” she said. “You will be taking what they have decided collectively and so implement it without fear or favor … I also think it is something we should eventually walk away from. I am not Anglophone, I’m Zulu. Malawi’s Vice President Khumbo Kachali, representing Presdent Joyce Banda at the Conference, was seen on (sic) jovial mood after the elections results reflecting the strong support [of] Dlamini-Zuma’s candidacy had received from fellow members of the Southern African Development Community (SADC). I think it would be good to get a change in the AU to try and improve the administration there … We can try and make it a more efficient and effective organization.